A little script I wrote to help with jCanvas functions. You won't have to remember another password. 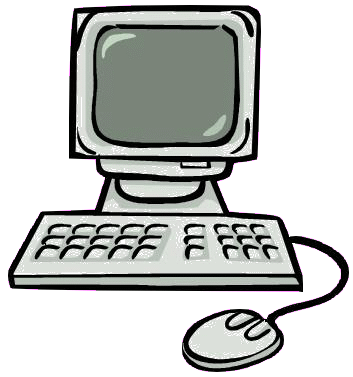 This is an offline web application that saves your username and passwords in your browsers local storage. This is an application for the Android OS. 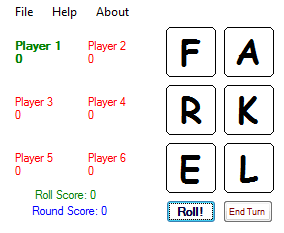 This program is just like Farkel. This is an application for the Android OS. This program is just like Passwords. 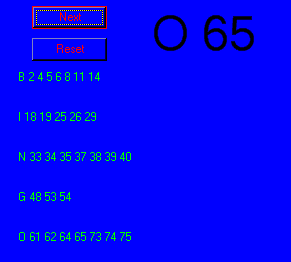 If you are trying to play bingo but don`t have a bingo board. Try using this it randomly generates bingo balls and records which ones have already been called. A high-scoring, high-intensity game of dice for 2-6 players. Just like the hand held Mattel Football game with three difficulty levels. A game of lights out. Try to get the entire screen black. 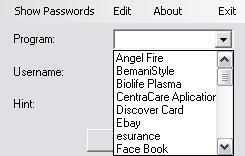 Store your passwords in this program. It encrypts the passwords so no one can find them except the person that knows the password to get into your vault. 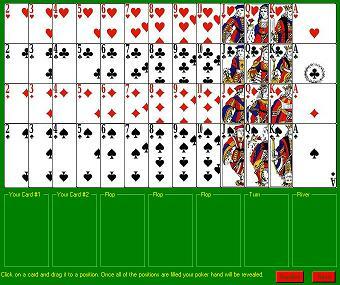 This is a program I started when trying to make a poker game. 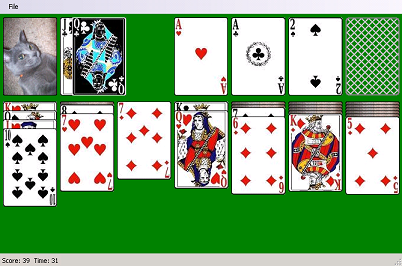 This program tells you the best 5 card hand out of seven cards. 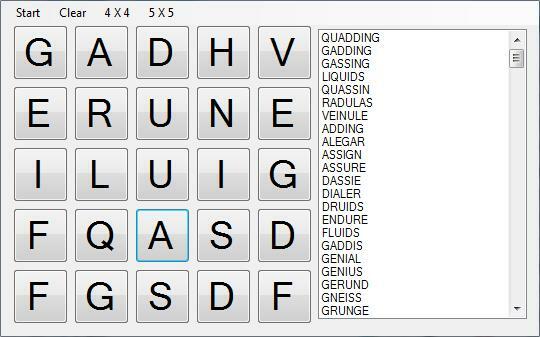 This program generates the words for the game Scramble on facebook. just like the game Boggle. This program sets wav sound files to the F keys so you can have your own sound board on your computer. 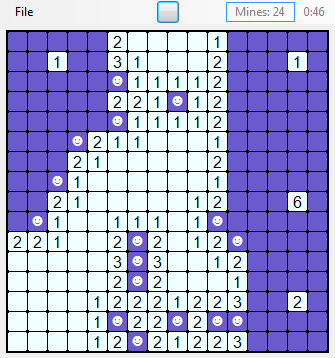 With this program you can generate Sudoku puzzles to play whenever you want. 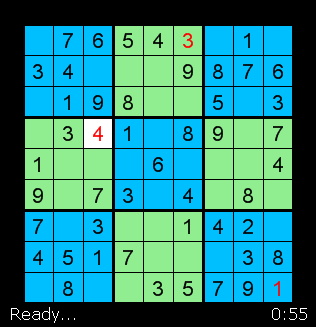 You can also solve Sudoku puzzles if you get stumped by the newspaper`s Sudoku puzzle. 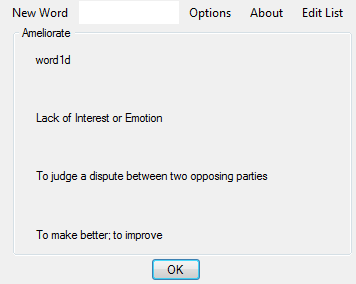 Study vocabulary using definitions and synonyms. 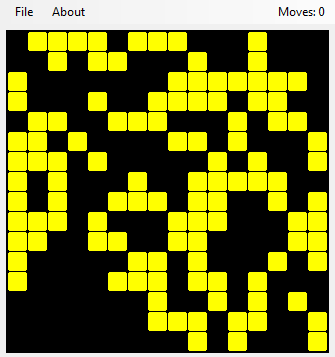 This program is just like MineSweeper.